Today, passwords alone are not enough to protect your precious accounts. It is not wise to ignore the capabilities of two-factor authentication with hackers on the rise. If you wish to keep your accounts safe from snoopers and hackers, it’s time to learn more about 2FA. Let’s find out more! 2FA is designed to prevent hackers from intercepting any of your data in a scenario where they have discovered your complex password. It acts like an extra security layer to your account. When an account is protected with 2FA, the individual trying to access it is required to present two different elements: something he/she has (e.g., a randomly generated number code or fingerprint) and something he/she knows (e.g., the password). So if someone tries to snoop into your account, they will soon know that the password itself is useless. They will require access to your phone or other devices that receives code notifications etc. from the 2FA feature. 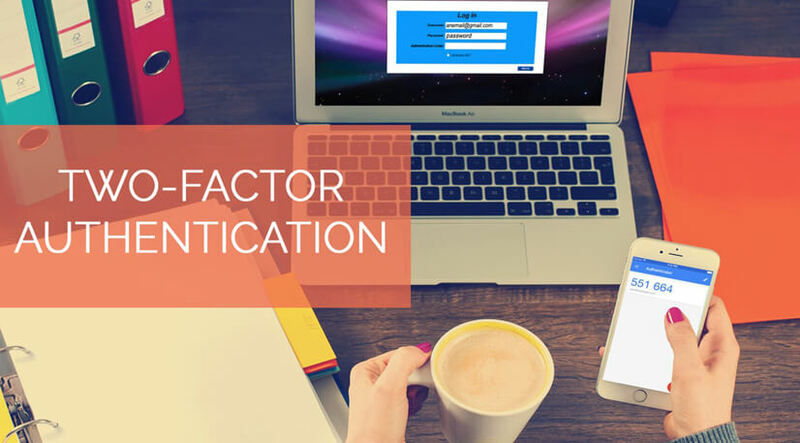 For starters, two-step verification features offer additional level of protection, just like 2FA. However, they do not necessarily require the “something you have” part. In other words, a hacker who wants to snoop into your account will have to successfully steal your password and your physical device, if 2FA is enabled. If 2SV is enabled on the other hand, they just need to steal your password and guess the answer to something like a security question. Do you notice that they only need to care about the “something you know” part? In addition, 2SV gives hackers more chances to get lucky with their guesswork. Today, cyber criminals are getting smarter and you should opt for two-factor authentication as it offers more security benefits than 2SV. So where do you need to enable 2FA at? You can start enhance your security on all the popular websites and social networks that you use on a regular basis. Google has built-in two-step verification and you should start enabling that first. Simply navigate to the “Sign-in & security” section, and set up your phone number and enter your password once you are there. After receiving the 6-digit verification code, enter it to proceed to the next step. You can choose to stay with the default option and receive your security codes via voice or text messages. However, you should enhance your security by using the Google Authenticator app. This is also useful as it gets Google to make your verifications quicker. When this is enabled, you will receive a notification that asks if it is really you trying to log in. All you need to do is to tap “Yes” on the app. Facebook’s 2FA settings can found at Settings > Security and Login. Next, scroll until you spot “Setting Up Extra Security”. Here, you can select “Use two-factor authentication”. The good thing about Facebook’s 2FA feature is that it allows users to select as many authentication methods as they wish. For instance, you can choose to receive text message codes on your phone or use their security key and code generator. Next, don’t forget to choose up to five trusted friends who can help in case you lose access to your Facebook account. When the need arises, your friends will be able to send you the recovery code. You will be able to use that code to log in again. When you’re in Instagram, navigate to your profile and select Options (the gear icon) > Two-Factor Authentication > Require security code. By enabling this feature, you also get extra backup codes for keeping. They become handy when you decide to change your phone number or accidentally lose access to your device. Did you know that you protect your data from snooping by using proxies? If you wish to know how they can help with web browsing, do not hesitate to contact Proxy Key today.